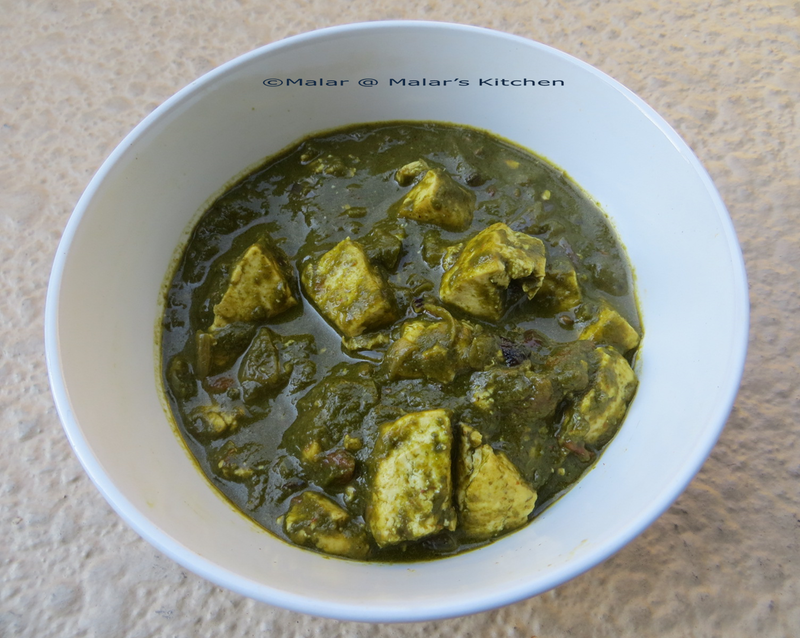 We are very used to Palak Paneer and my hubby loves it. This time I decided to make it with Tofu instead of Paneer. Since I had the combo of both Spinach and Kale ,so tried with this combo and it turned out very yummy 🙂 You can use only Spinach for this. Remove water from the Tofu packet, and squeeze of the water. Place in tissue paper for 5 mins. Wash Spinach and Kale. Add water about 1 and a half cup over it and boil for 3 to 4 mins until it shrinks. Cool down and blend to a fine paste. Chop onions , tomato. After 5 mins squeeze excess water and cut it to cubes. Add 1 tablespoon of oil and saute the tofu cubes and saute til golden color and set aside. Heat the other tablespoon of oil, when hot add cumin seeds, fennel seeds, cardamom piece. When they crackle, add onions. Let it turn golden brown, add ginger garlic paste. Saute for 3 to 4 mins. Now add tomato and saute till it gets smashed well.. Now add turmeric powder, red chili powder, coriander powder, cumin powder and mix well. Now add the kale and spinach paste. Let it boil for 5 mins. 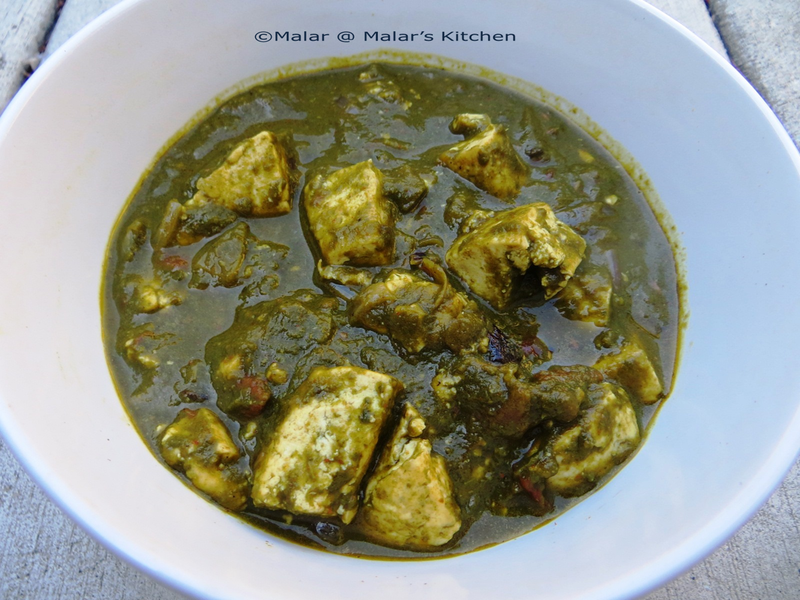 When it is boils well, add the Tofu cubes with this and let it simmer for few more mins. I served with Gobi Paratha.